Dare to be different in this royal blue and gold occasion dress. A picture-perfect addition for your girl’s autumn/winter wardrobe, this bold blue gown showcases an immaculate floral design and makes the ideal special occasion outfit. Available in a rich royal blue colour with tulle and velvet textures, your angel will love everything this one-off piece has to offer. Our embroidered gown has a feminine a-line silhouette, ruffled trim and pencil pleated skirt, ready for your daughter to grace her next event in style. The dress also includes a round ruffled neckline, above the knee length and concealed zip fastening. Dare to be different in this royal blue and gold occasion dress. A picture-perfect addition for your girl’s autumn/winter wardrobe, this bold blue gown showcases an immaculate floral design and makes the ideal special occasion outfit. Available in a rich royal blue colour with tulle and velvet textures, your angel will love everything this one-off piece has to offer. 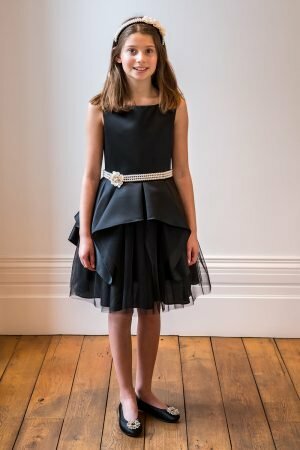 Our embroidered gown has a feminine a-line silhouette, ruffled trim and pencil pleated skirt, ready for your daughter to grace her next event in style. The dress also includes a round ruffled neckline, above the knee length and concealed zip fastening. 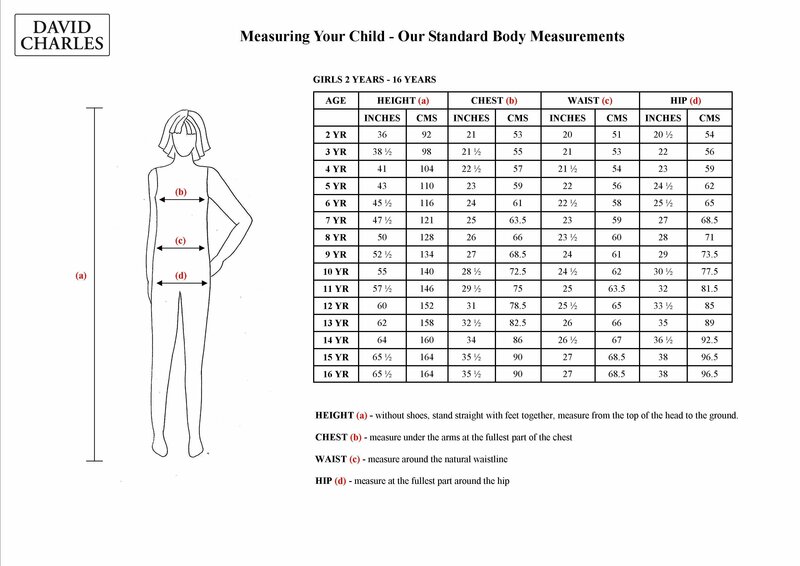 Height of Model : 57 1/2″ – 146cm – wearing age 10 years. Your starlet will be a vision of enchantment in our pearl blue and silver opera gown. Designed with love and luxury, this custom gown offers style that's fit for a princess. Featuring a polished pearl blue and silver colourway brocade, this ornate dress is sure to add a hint of frosted flair to your angel's new season wardrobe. Whether it's for a party or an evening at the ballet, this show stopping edition guarantees to elevate your girl's occasion look in an instant. Details include three-quarter length fluted sleeves with blue decorative bows for top-to-toe couture. Concealed zip fastening. Greet the new season with grace in our black velvet and gold floral dress. Available from the latest David Charles collection, this is no ordinary day dress. Perfectly on-trend for birthdays, bat mitzvahs and Sunday best, so be the first to treat your girl to this must-have occasion gown. Featuring a chic black and gold colourway and luxury embroidered bodice, your sweetheart is sure to collect compliments in this a-line edition. With an embroidered bodice, ruffled trim and luxe velvet pencil pleat skirt, this dress is all about the smartest details. Includes a round ruffled neckline, above the knee length and concealed zip fastening. Set a stylish tone for winter in this royal blue and gold prom dress. Hand-picked with your girl's favourite events in mind, this polished piece wins first prize in the style department. Available in a luxe royal blue and gold colour palette with a floral gold embroidered design, your sweetheart is sure to fall in love with our designer prom dress. Delicate crepe ruffles decorate the neckline and sleeves, and the dress features a sweetheart cut-out back. Soft tulle layers complement the ball gown silhouette, and there is a concealed zip to fasten. Make every day a good wardrobe day with the black and ivory pearl prom gown. Exclusively available from our latest collection, this A-List number will ensure your girl looks radiant for every special occasion. In smart black, with a luxe satin finish and waterfall pleats, note how soft tulle layering adds instant red carpet appeal. The perfect choice for proms and birthday parties, your starlet will be ready to strike a pose in this chic evening edition. Precious ivory pearl belt decorates the waistline to complement her silhouette, while the resin flower adds a polished finishing touch. This signature gown offers a sleeveless style, scooped neckline and has a concealed zip fastening. Transform you girl's everyday look with this black tweed formal dress. Available from our latest collection and unlike any other formal wear edition, this is the ultimate style staple for family gatherings, christenings and church celebrations. Discover blouse-inspired details with long ivory chiffon sleeves trimmed with pleated and matching front bodice ruffles. This particular dress also includes a black velvet ribbon that creates a definitive finished look. Our black tweed fabric comes with a luxuriously soft drape and tiny sequin embellishments, relaxed pleated skirt for added comfort whatever the occasion. Concealed zip fastening. Create an artisan evening look with our navy blue ruffled prom dress. Yours to treasure, this pared-back style offers simplicity in its finest form. Available in a chic navy colourway, this shade of blue promises to deliver elegance for all your girl's favourite occasions. 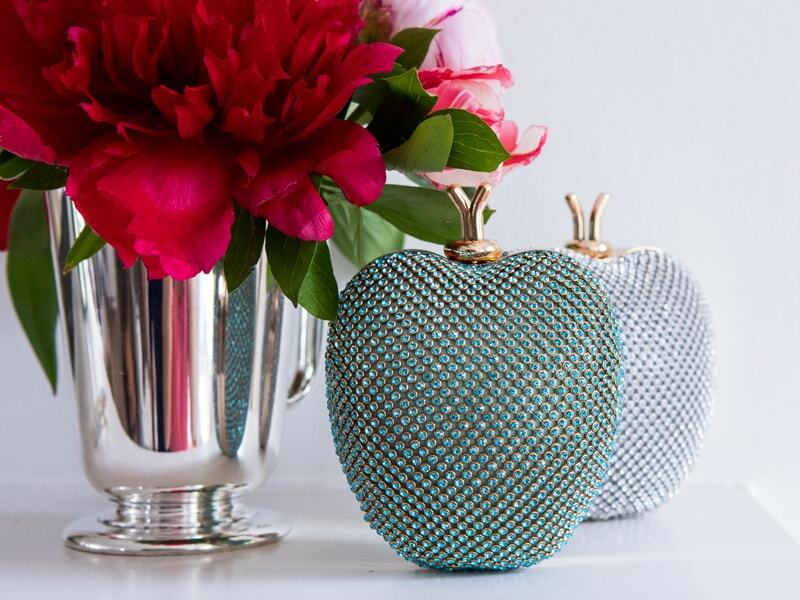 From parties and proms to bat mitzvah events, your teen is sure to collect compliments in this sophisticated style. Our special edition offers a delicate flared skirt that falls just above-the-knee and is finished with a sweet ruffled trim that frames the shoulders. This dress also features a soft diamond pattern textured finish so your angel can celebrate every occasion in pure luxury. Includes a concealed zip fastening. Celebrate the holiday season in style with our emerald green and pearl party gown. Exquisite to the last detail, this jewel-hue dress was made to showcase your girl's sophisticated side. 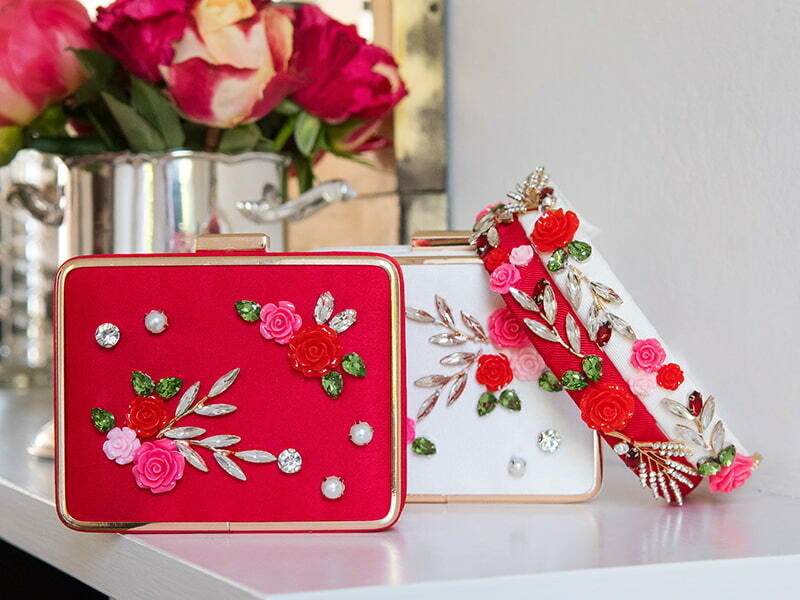 Whether she has an exclusive invitation or needs a gorgeous gown for the holidays, this designer edition is sure to leave a lasting impression at her next special occasion. With an elegant emerald green colourway, luxe satin finish and waterfall pleats, note how lavish tulle layers add instant couture appeal. A polished ivory pearl belt accentuates the waistline, and a pretty resin flower offers just a touch of embellishment. This statement party gown offers a sleeveless style, scooped neckline and has a concealed zip fastening. 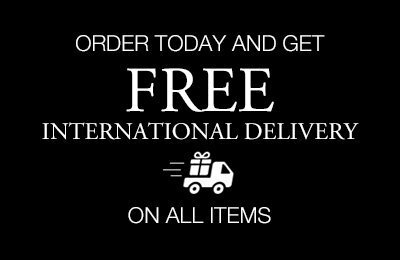 Celebrate your girl's special day with our black lace birthday dress. Exclusive to David Charles, this timeless black dress is the epitome of chic red carpet style. Available in a tapered fit and flare silhouette with luxe satin and lace textures, this gown is handcrafted with excellence and makes a must-have choice whenever the occasion calls for a smart dress code. 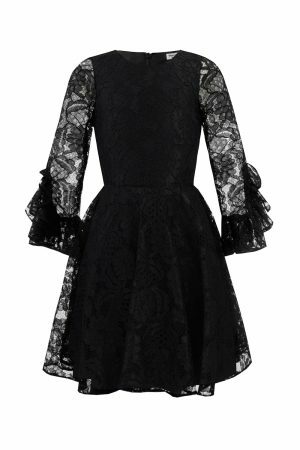 Perfect for birthdays and bat mitzvahs, our black lace dress offers long semi-sheer sleeves and fluted ruffle trim cuffs that nod to the new popular romantics trend. Includes a soft pleated skirt your daughter is sure to adore, as well as a concealed zip fastening. Pair with red pumps and pearl accessories for a instant movie star status. Good things come to those who glisten in this royal blue and gold occasion gown. A David Charles exclusive, this sophisticated designer dress makes a perfect choice to welcome the season in style. Whether your girl has a birthday party or theatre evening to attend, see that she's draped in head-to-toe luxury this season. 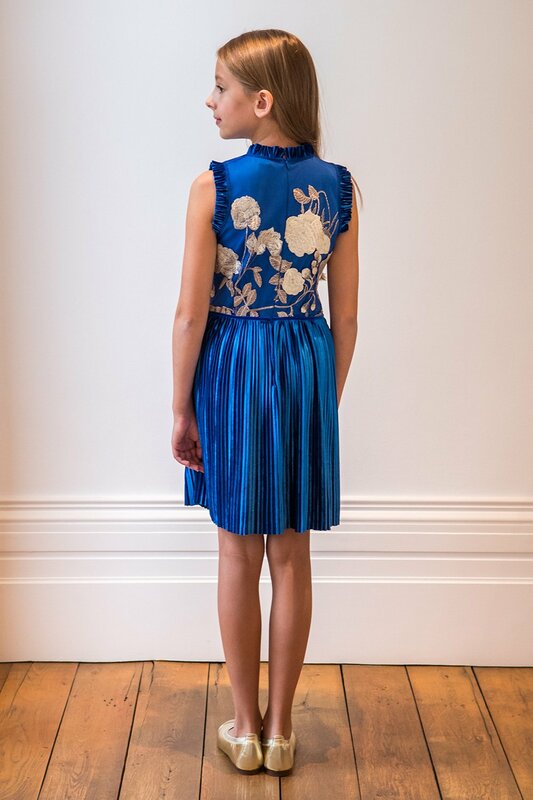 Available in a polished royal blue and gold colourway, note how metallic embroidered florals add instant A-List status to your daughter's occasion look. This statement evening dress offers an elegant to-the-knee ball gown style, with exquisite tulle layering throughout. This seasonal gown has puffed cap sleeves and a jewelled embellished velvet waist ribbon to complete her regal party look. Concealed zip fastening. David Charles proudly offers this powder pink flower girl gown. 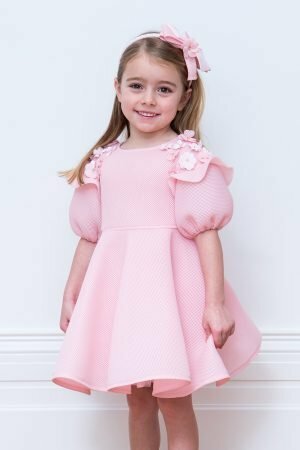 Designed with love and exquisite craftsmanship, this statement dress will ensure your little one looks cute as a cupcake. Whether she has a wedding or birthday party on the cards, smile with pride as your sweetheart steals the spotlight. 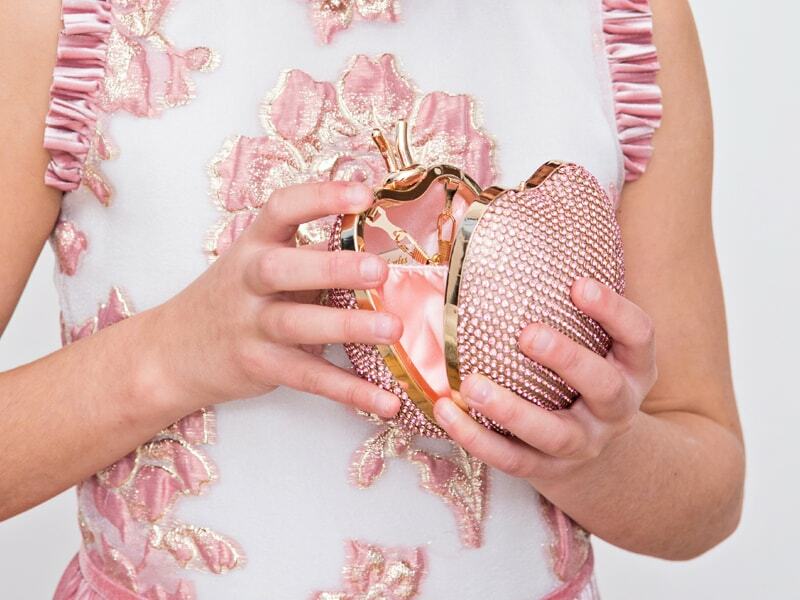 Available in a powder pink colour palette and embellished with floral shoulder appliqué, your girl will be sure to collect compliments in this enchanting edition. Softer than a cloud and crafted from a luxe textured techno fabric, our flared skirt offers the perfect party silhouette. Also note the balloon-hem sleeves adorned with ruffles which add a pretty finishing touch. Includes a concealed zip back fastening.